I was listening to the comedian Gary Gulman and was amused at his analysis of the Bible and the Jewish people. I have to admit that I have been chuckling to myself about this, this whole week. Gulman is Jewish and had a humorous look at the Hebrew Scripture. He said, it appears that every 75 pages or so in the Hebrew Scriptures, God is punishing the Israelites somehow and if the Hebrew Scripture would be made into a movie, it might be entitled “He’s Just Not Into You.” Admittedly this is a lighthearted view of things, but you have to admit, it is pretty funny. He went to wonder aloud about the New Testament, observing that it is the second part of the Bible, or if you were to put it into television or movie terms, a spin off or a sequel to the Hebrew Scriptures. He argued that the New Testament was the greatest and most successful sequel or spin off in the history of the world, better than “Rocky II” or “Star Wars: The Empire Strikes Back.” He went on to observe that the New Testament is the “Frazier” of the Bible. I don’t claim to rely on comedians to inform my theology, but I admit that I appreciate comedians’ comical look at religion at times, given that the observations are in good fun and perhaps only a little irreverent. I guess, I think sometimes, we are a little too serious and it is a good thing to take a lighthearted view of things. 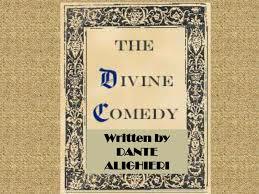 Although it may not be obvious from reading the Bible that God/Jesus had a good sense of humor, if you look closely you can get glimpses of God’s humor or as Dante put it “’The Divine Comedy.” A couple of my favorite ironic and more lighthearted lines from Jesus include, “Healthy people do not need a doctor, sick people do” or “Why do you look at the speck in your brother’s eye, but fail to notice the beam in your own eye?” Or my all-time favorite from Mark, when Jesus is upset with his disciples, “How long must I endure you?”-Excellent. If we doubt God’s sense of humor, you may consider why humans have a sense of humor to begin with. Don’t forget about our Grief Support Group taking place Sunday, April 29th at 7pm in the church hall and every third Sunday following that. All are welcome!